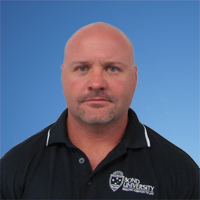 Dr. Chris is a professor of Sports Science, in the Faculty of Heath Sciences and Medicine, Bond University, Australia. Chris commenced his Doctorate in January 2007 on a part-time basis, whilst also maintaining a full-time teaching load within the Faculty of Health Sciences & Medicine. Research interests of Dr. Chris include exercise science, physiotherapy.